Juliette hasn't touched anyone in exactly 264 days. The last time she did, it was an accident, but The Reestablishment locked her up for murder. No one knows why Juliette's touch is fatal. As long as she doesn't hurt anyone else, no one really cares. 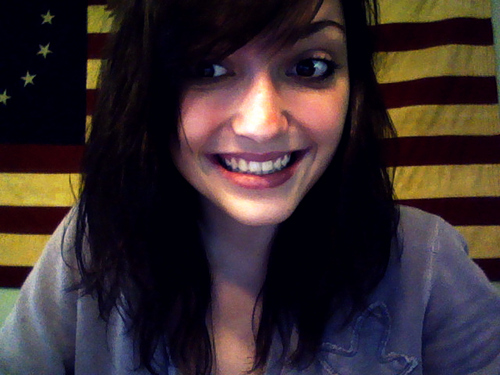 The world is too busy crumbling to pieces to pay attention to a 17-year-old girl. Diseases are destroying the population, food is hard to find, birds don't fly anymore, and the clouds are the wrong color. The Reestablishment said their way was the only way to fix things, so they threw Juliette in a cell. Now so many people are dead that the survivors are whispering war-- and The Reestablishment has changed its mind. Maybe Juliette is more than a tortured soul stuffed into a poisonous body. Maybe she's exactly what they need right now. Juliette has to make a choice: Be a weapon. Or be a warrior. First of all I must say that Tahereh Mafi is my new favorite author. Out of all of the books I have ever read, she is the best one. you might actually agree with me. Which brings me to my second point: Shatter Me was the best book I have ever read. I have been loving every single book I pick up, but honestly I guess I have just been lucky. gave birth to on those pages. And don't even get me started on how well she developed the characters. I could be writing this review forever, and well that doesn't exactly fit into my schedule. So I think I rather stick to my plan of attacking people until they agree to read Shatter Me... Alright, well maybe I will say a little bit on what I thought of the characters. Juliette is so kickbutt, UGH. It made me feel like a huge wimp and yet at the same time I freaking loved it. Oh my goodness. I can't even begin to describe how awesome Juliette is. And ah, well then there is Adam. I'm pretty sure Blogger will not be able to contain how much I love Adam. make this into the next Twilight fad and have his name all of my clothes. But to put it a nutshell: I love Adam Kent. 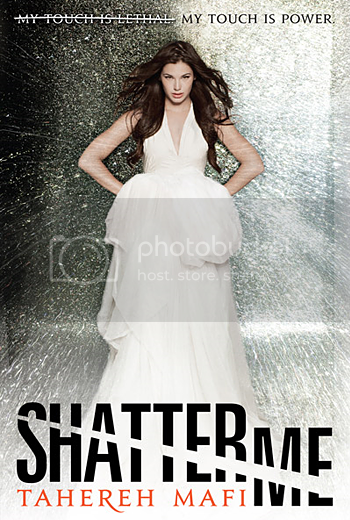 I'm SURE you'll get the full picture whenever you read Shatter Me. Tahereh Mafi made each and every character perfect. what they would look like. But I have a great idea, IF you already own Shatter Me read it right now. If this review didn't convince you to read it, then I honestly don't know what else to say. But I may or may not come attack you until you read it. THANK-YOU Tahereh Mafi for writing my new favorite book! Seriously, I will re-read it forever. And I cannot even express how badly I want the sequel in my hands right now.